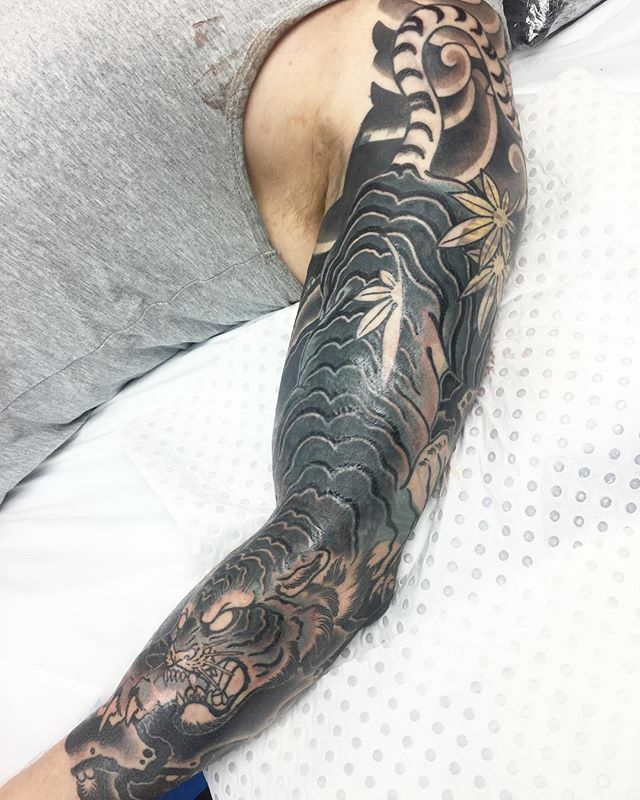 One of the obvious cover up techniques in Japanese and neo traditional tattooing is to use the fur, feathers, or scales of an animal to obscure the tattoo underneath. The the use of these organic and loosely repeating patterns distracts the eye and draws the viewers attention to new mage. Of course all of this is subject to the limitations of the tattoo being covered and the desired outcome.